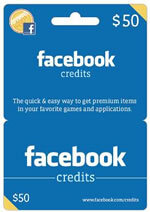 Yesterday, the online social media giant Facebook entered the gift card business by selling Facebook Credits cards at Target store near you. The credits allow you to buy applications and virtual goods. This entry was posted in Anger, Nonsense, Trashed Idea and tagged credit cards, facebook, facebucks, gift cards, online social media giant, Target store, Trashed Idea. Bookmark the permalink.